Osvaldo Alves is a Brazilian Jiu Jitsu expert who reached the degree of red relt (nono grau/9th degree) in the gentle art. 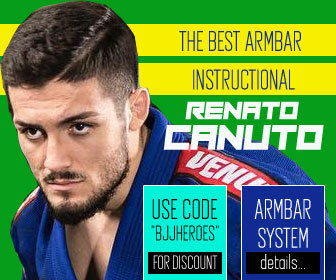 A true legend of the sport of BJJ, many believe he was one of the revolutionaries of jiu jitsu in the 1970’s, bringing new positions and a new philosophy to the sport, having coached many of the sport’s greatest athletes such as Rolls Gracie, Paulo Filho, Amaury Bitetti, Fredson Paixao and many others. Osvaldo Alves is also the IBJJF (International Brazilian Jiu Jitsu Federation) technical director and the worlds most senior BJJ instructor. Osvaldo Alves was born in the Brazilian State of Acre, deep in the Amazonian forest though he moved to Rio de Janeiro when he was still a baby. As a child Osvaldo loved to see the American superhero comic books, having Captain Marvel as his favourite character. This love for the action heroes took him to seek martial arts, Judo was an accessible sport and Osvaldo started training as a 6 year old in the academy of a former Japanese champion by the name of Fujimata. Being raised in Copacabana at Rua Constante Ramos, he would often pass by the Gracie Academy with his Kimono in his hand and on occasion he would interact with the other kids that trained at the neighbouring Gracie Academy. Alves started working out with the family after being invited to train Jiu Jitsu by Reyson Gracie, he was 7 years old at the time and soon became very close friends with Reyson spending alot of time with him and his family. 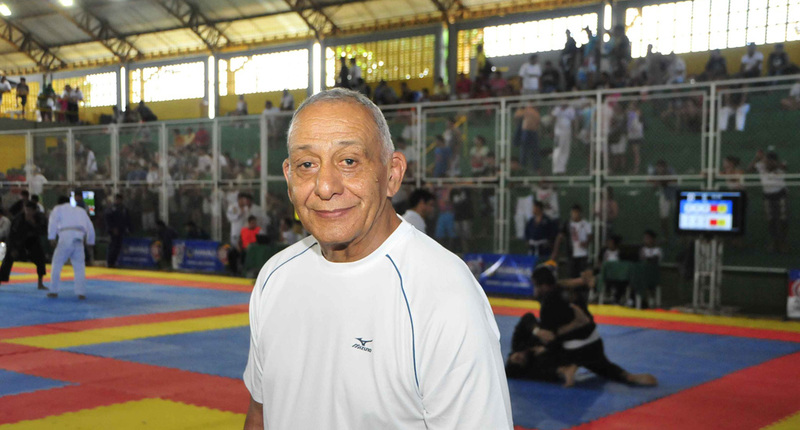 Osvaldo loved both sports (Judo and BJJ) and never stopped training them, that hard work paid off as he won 2 Pan American Gold Medals in the Japanese martial art in consecutive tournaments (first in Cuba and later in Canada). These medals were achieved by the time Osvaldo reached 17 years of age, and due to his great success he was awarded a scholarship by the Gama Filho University to go to Japan and train at one of the best Traditional Judo Schools in the World the Tenri University. After 5 years Osvaldo Alves came back to Brazil. His Judo technique had increased volumes after the hard training at one of the best newaza (ground work) schools in Japan, and he brought in his luggage a lot of fresh knowledge that the Gracie’s were not familiar with. 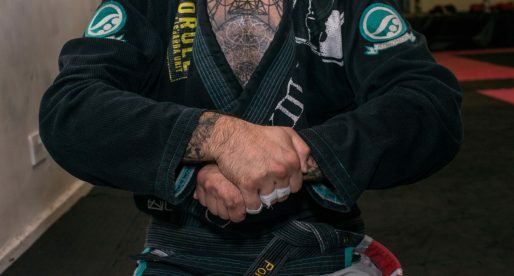 An example of that was the “lateral” (side control) position, Gracie Jiu Jitsu was more focussed on closed guard and top control, but the sidecontrol position was still very basic. Osvaldo’s knowledge from this position was most valuable to the evolution of the game, this and of course many other tricks osvaldo’s own inquisitive mind developed, like the wristlocks. Another area that Osvaldo helped develop was the takedown. The Gracie’s had knowledge of takedowns and takedown defence, however they were limited in their techniques. The first one to accept to cross train with Alves was Reyson and soon he was followed by a young Rolls Gracie. Rolls adapted extremely well to the Judo game, and being the incredibly gifted athlete he was, tournament wins started pilling up in Judo Championships. After seeing the benefits Judo could bring to Gracie Jiu Jitsu many more family members started cross training also. In the 1980’s Osvaldo started teaching Jiu Jitsu in his home, the place was small and there wasn’t space for more then 4 people rolling on the mat at the same time, but still his small “academy” was a success. His students would work their conditioning on the beach and then work their techniques on the (small) mats. 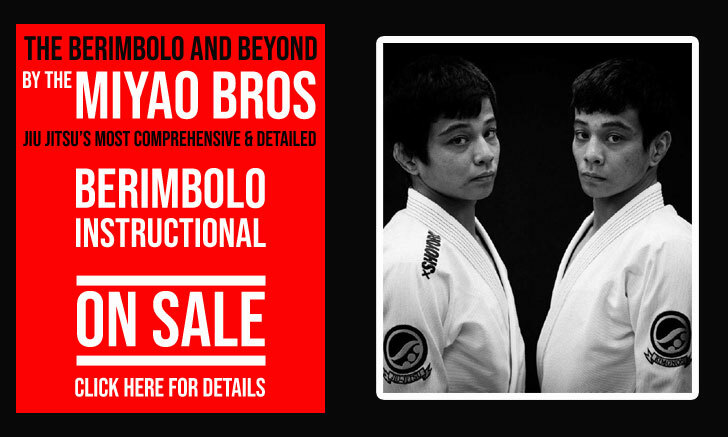 From his house and working with his students Osvaldo developed many positions, including his famous high guard. He is also renowned for having given 2 black belts to 2 purple belts, promoting them without making them go through the brown belt stage. 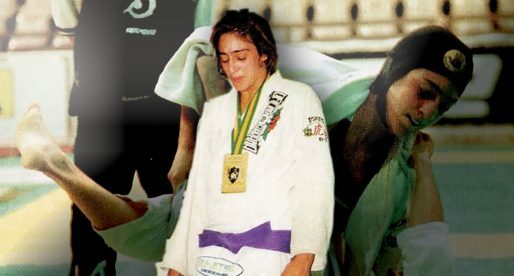 The two fighters awarded were Sergio Penha and Fredson Paixao and both proved Osvaldo right, the first giving the almighty Rickson Gracie the toughest test of his life just months after receiving his black belt and the second winning everything there was to win at the black belt division. At one point Osvaldo travelled back to the Amazon together with his long time friend Reyson Gracie and Artur Netto. The trio ended up in Manaus, a city famous for it’s tough guys, after being involved in a scuffle against some locals (who were beat up by the Jiu Jitsu practitioners) many people came to them to ask were they could train the same martial art, as there was no BJJ academies there, Osvaldo started his own. That same academy was extremely fruitful having developed many World class fighters like Bibiano Fernandes, the already mentioned Fredson Paixao and important instructors like Henrique Machado over the years. Today Osvaldo is a legend of the sport of BJJ, having been the only Brazilian National and Jiu Jitsu personality to have been invited to give a seminar at the famous Kodokan in Japan, he is also sought for by the best in BJJ to improve their game. 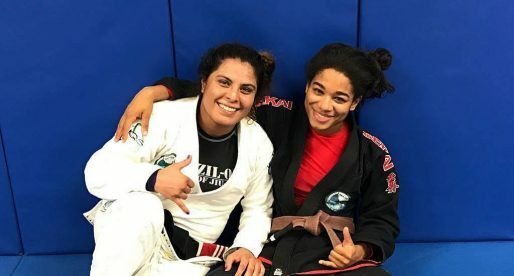 People like Amauri Bitetty, Paulo Filho, Rodrigo Minotauro, Joao Roque, Ze Mario Sperry, Paulo Caruso, Carlos Gracie Junior amongst many others. 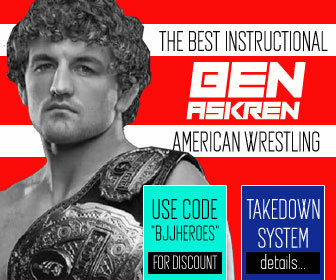 This guy is open a Gracie Barra school in Florida near my house now. He gon scam more students? Porra! What he do in Ohio? Don't mention Ricardo and Oswaldo in the same sentence. Ricardo Pires is a joke…..
You are the joke. Ricardo trained directly under Sergio Penha, who awarded him his black belt. So to call Ricardo a joke is to disrespect Sergio’s decision to award his student a black belt. To make a comment like that, you obviously a) don't know Ricardo (or more likely you are jealous of him); b) have no respect for Osvaldo, BJJ, or yourself; c) are an idiot; d) all of the above. Thanks Jeff for keeping it positive. No disrespect to anybody is warranted. It's really sad that the only way some people can feel better about themselves is to try to put other people down. Some people are "in the know" and some are obviously not. Some of the above mentioned names have been EXTREMELY disrepectful to BJJ ICONS like Professor ALVES and Professor PENHA. Sergio has never done anything to deserve the way he was treated by some of his black belts. I have the great pleasure to learn from this three-year and encyclopedia of Jiu Jitsu, Grand Master Osvaldo Alves. Besides being a person of character and a daddy to all who know him, he teaches you concepts you apical to the rest of your life! My simple thank you! I just have to thank for the opportunity! To anyone using the logic that to disrespect Ricardo Pires is to disrespect Sergio Penha, you obviously don't know Sergio personally. You probably don't know Ricardo either or you would know why it is warranted. Ricardo was dishonest financially with many of his students and left Vegas in order to avoid problems his shady dealings with students and even Professor Penha. What does Ricardo Pires have to do with this anyway. I have trained with him for several years, stayed at his home and socialised with his family and I never saw one thing that would lead me to believe that he was a "joke" or some sort of "shister." he was always kind and warm hearted. 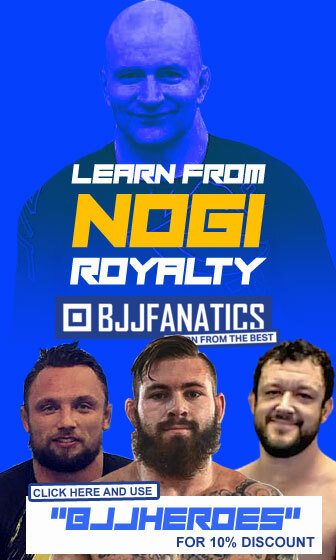 Whatever you say he has done in the past has nothing to do with his ability as a BJJ practitioner. He is an amazing teacher and competitor, and his top game is one of the best int he world. You have all disrespected my Master! And so you shall feel my WRATH! Osvaldo Alves is the number one ! eu fui um dos melhores alunos do Ovaldo Aves camo-o assimporque nele é um dos meus melhores amigos e tem várioas compisições comigo. Ele é o professor que mais conhece luta no brasil.